Founded in 1995, eBay is one of the notable success stories in the world today. As the world’s largest marketplace it has hundreds of millions of listings live at any given moment, become one of the largest companies in America & one of the most recognized brands around the world. Throughout the years, the world has seen some of the oddest items listed on eBay, including, among others, old gum, entire towns, and even spouses. The fact that anyone can list almost anything, makes this site one of the most interesting places to find rare or outlandish items. 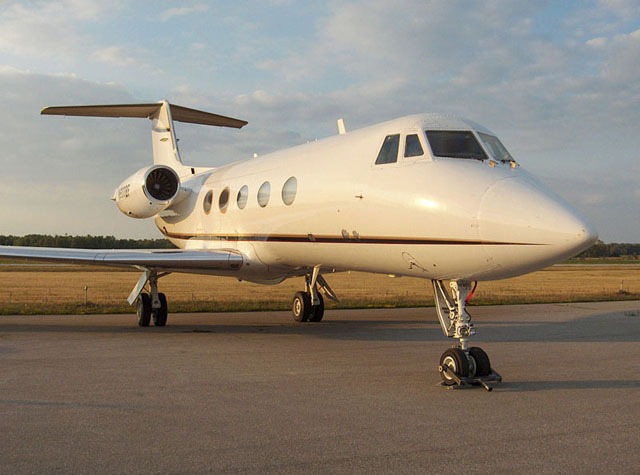 A Gulfstream II Jet that sold for $4.9 million in 2001 is the record for highest eBay sale price yet. The record sales price was more than three times the previous known eBay record of $1.65 million. The jet was sold by Tyler Jet (now, Tyler Jet Motorsports), the world’s largest business jet dealer at the time. Looking at mobile behavior on eBay’s apps, you can see that mobile commerce is an increasingly important focus for the company. One item is purchased every two seconds using eBay mobile apps, and in 2009, eBay users bought $600 million of merchandise using their mobile phones. On the last earnings call, eBay CEO John Donahoe predicted that number will nearly triple this year to $1.5 billion. It’s no wonder that mobile is such a focus for the company. Users are shelling out big bucks on their mobile phones. So far in 2010, the most expensive item sold via eBay’s mobile app was a 1985 Piper PA-46-310P Malibu airplane for $265,000. The transaction was successful and resulted in the exchange of positive Feedback. Another big ticket item bought via the eBay app this year was a 2007 Lamborghini Gallardo Spyder for $139,000. So far this year, it’s the most expensive car bought via eBay’s mobile app. An exciting addition to the eBay app roster that will make mobile shopping even easier is Red Laser, a popular iPhone app that scans barcodes in stores, and returns the best prices for the same item online and at other stores. eBay recently acquired the app and will soon integrate Red Laser’s technology within its eBay applications like eBay Marketplace, eBay Selling, StubHub and Shopping.com. 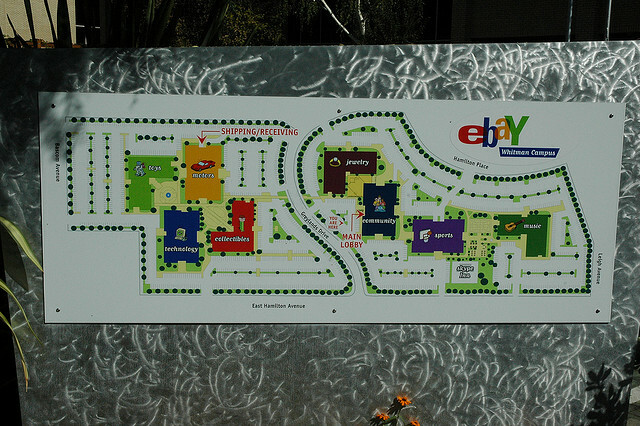 There are seven buildings at eBay’s headquarters in San Jose, California, and they are all named after categories on eBay.com: Collectibles, Jewelry, Motors, Music, Sports, Technology and Toys. All of the conference rooms are named according to the corresponding building theme. For example, in the Motors building, rooms are named after type of cars, and in the Music building, rooms are take the names of various musical instruments. True to its name, the Community building has a few distinct characteristics. It’s conference rooms are named after original eBay community terms, including PowerSeller, About Me, Feedback and Buy It Now. And it also houses two of the most social locations on campus, the cafeteria and the coffee house. Even more interesting is the fact that one of its conference rooms is named after an eBay community member, Jack Sheng. On Labor Day weekend in 1995, computer programmer Omidyar wrote the code for what he called an “experiment.” He wanted to know what would happen if everyone in the world had access to a single global marketplace. 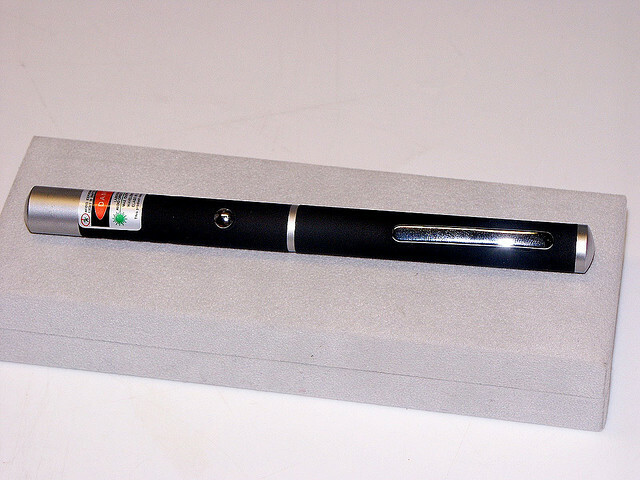 To test his idea, he came up with an auction website, where he listed a broken laser pointer that he was going to throw away. In the end, a collector bought it for $14.83. Among the other items sold just a week after Omidyar launched eBay were autographed Marky Mark underwear for $400, a Superman metal lunchbox for $22, and a Toyota Tercel for $3,200. “The boxy black-and-white AuctionWeb logo … was so sinister the eBay staff had taken to calling it the ‘death bar,’” according to Adam Cohen in The Perfect Store: Inside eBay, a book explaining the story of eBay. Above you’ll find the original logos for AuctionWeb and eBay Internet. Steve Westly, one of eBay’s founding executives thought it was so horrible that it was scaring away potential corporate partners. You can see why employees might go a little bonkers after staring at these logos every day. For a short period in 1997, the eBay logo was changed to a slightly more appealing navy blue design, as pictured above. It is difficult to find a trace of this logo on the Internet, as it wasn’t in use for very long and may not have ever existed on the website itself. One of the only places that it still exists is on an eBay listing posted by Jim Griffith, the first customer sales representative at eBay and the current host of eBayRadio. Luckily, in 1997, the company hired CKS Group, an ad agency owned by Bill Cleary, Mark Kvamme, and Tom Suiter (all three of whom had previously worked at Apple Computers), to revamp their corporate identity, including visual imagery, typography, the website, and recommendations on advertising. Inspired by the visual imagery behind Eastman Kodak and Apple, among other brands, Cleary and his team created a logo that would appeal to the masses. The final result was the multi-colored logo spelled e-b-a-Y in overlapping letters with baseline shifts. The logo was chosen out of five or six other designs and had the “friendly, open and accessible” personality that the eBay team was looking for. The site we now know as eBay was launched during Labor Day weekend in 1995 as “AuctionWeb,” by entrepreneur Pierre Omidyar in his living room in San Jose, California. AuctionWeb was just one of four sites housed under Omidyar’s umbrella company, eBay Internet. The other three included a travel site set up in loose partnership with a local San Jose travel agent, a personal shopper site, and a site about the Ebola virus. 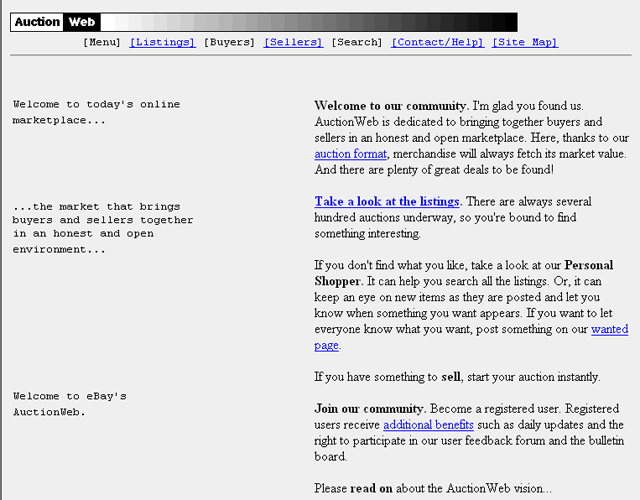 Check out the screenshot above of AuctionWeb, circa 1997. The decision to change the name from AuctionWeb to eBay was made by Omidyar and Jeffrey Skoll, eBay’s first full-time employee and president, in mid-1997. The change was spurred by the fact that most customers referred to the site as “eBay,” and the initial media coverage, though sparse, also used “eBay” more than “AuctionWeb.” The actual name change took place in September of 1997 and involved a migration of existing users to a completely new platform with a more graphical website and home page. It also introduced the world to the multi-colored eBay logo we know today. So, where did “eBay” actually come from? Long before AuctionWeb existed, Omidyar went to Sacramento to register the domain echobay.com for his planned business name Echo Bay Inc., but it was taken. He came up with “eBay” on the spot and registered it instead.